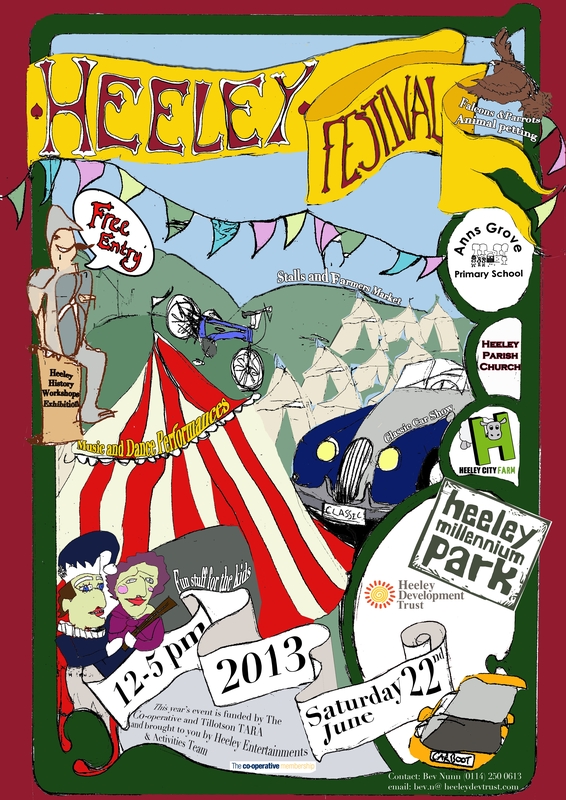 Heeley Voice Issue 57 | IT'S HAPPENING IN HEELEY! The areas biggest event of the year takes place in just over 2 weeks and it looks like it will be another great day out. As usual, there will be plenty happening so if you like live music, dance, performance, farmers market and craft stalls or fancy hunting out a bargain at the car boot come along on Saturday 22nd June from 12 noon. This issue includes details of all the things planned for the day and the 2013 festival poster. The 1st phase of refurbishment of the former Anns Grove School buildings is now complete and local people had chance to have a look around ‘Sum Studios’ for the first time at the Big Environment Day on 4th May. The building now has its 1st tenants and hosted its 1st conference ‘The Great Yorkshire Gathering’ on May 15th (see page 9). If you are interested in taking space at Sum Studios there are more details at www.sumstudios.co.uk – the building will also be open during the Heeley Festival for people to have a look around. This issue of The Heeley Voice includes information about the upcoming Carfield School Summer Fair on Saturday June 15th plus details of events during June at Meersbrook Park Walled Garden. There are also activities planned on Heeley Millennium Park throughout the summer including throughout national ‘Love Parks Week’ 27th July to 4th August – keep checking www.heeleypark.org for updates. With the school summer break fast approaching a number of local clubs/playschemes are promoting their summer activities. Meersbrook Park After School Club are running a 2 week holiday club starting early August and Artists in the Making will be running art and photography activities at the Heeley Digital Media Centre on Thirlwell Road for 2 weeks from Monday 19th August – more details and booking info is included on pages 13 &14. There is another ‘Big Boulder Rolls On’ live music night at The Heeley Institute this weekend where Orchestre Ruffanti will be bringing ‘glamour and exotica’ at their only summer show of the year. The last 2 events have been highly entertaining (review of Dave Formula and The Finks on page 6) and this one will be another night of high quality live music in Heeley – tickets are £8 on the door or online via wegottickets.